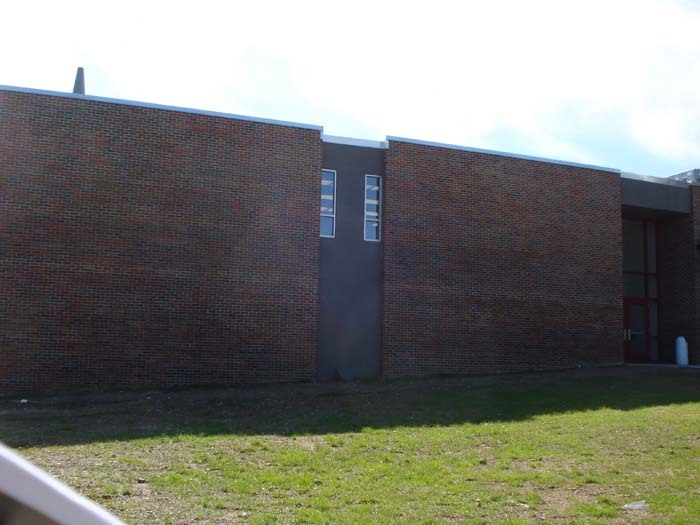 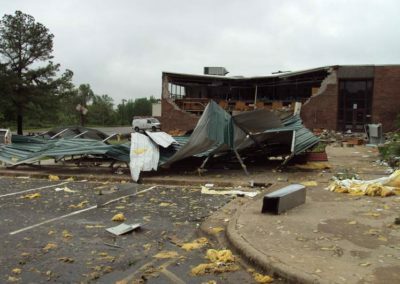 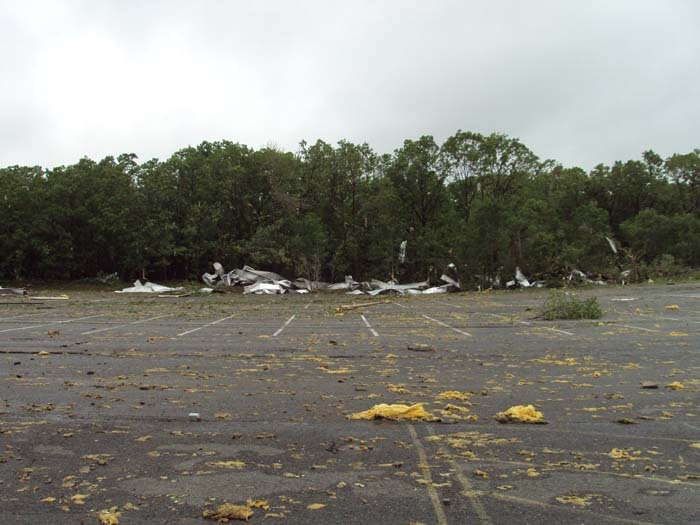 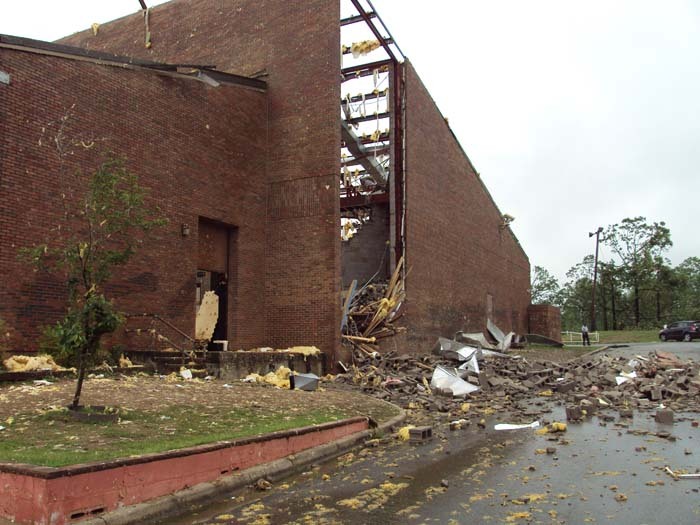 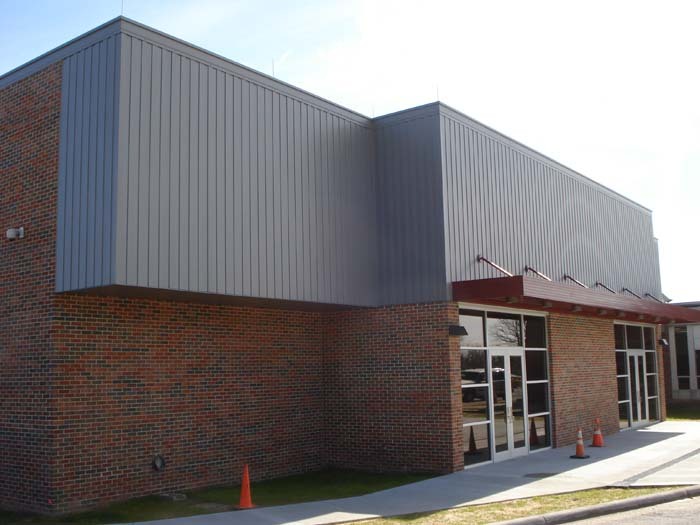 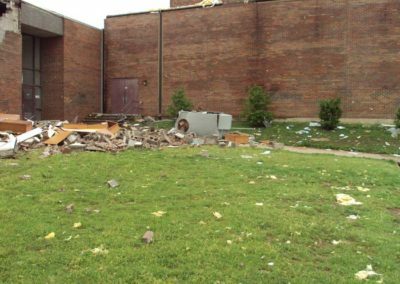 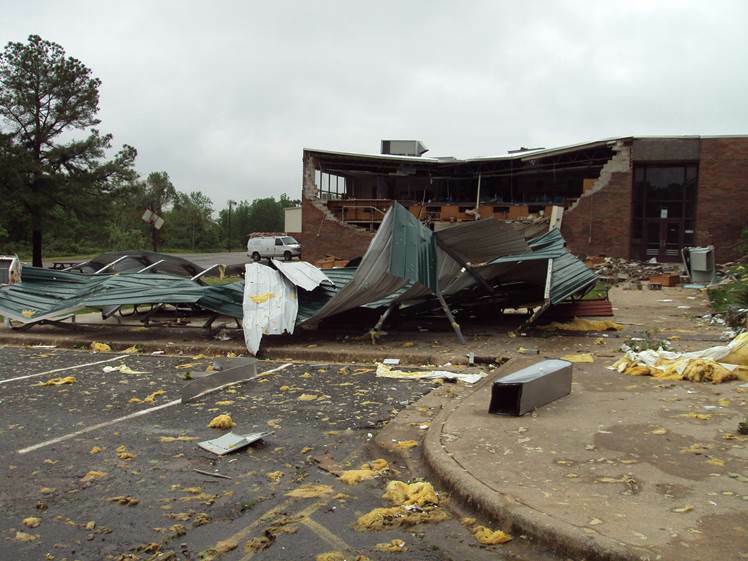 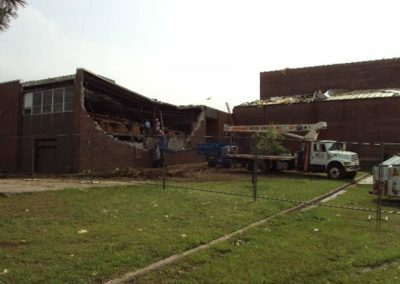 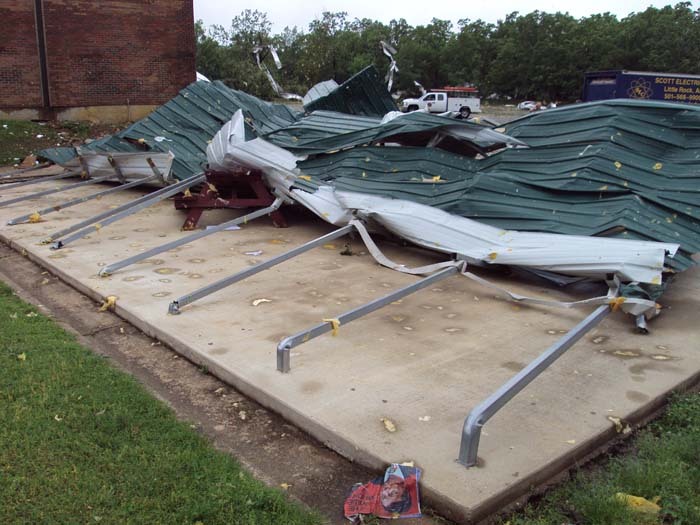 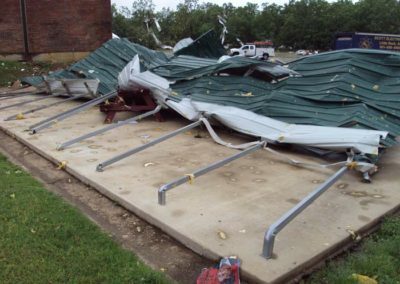 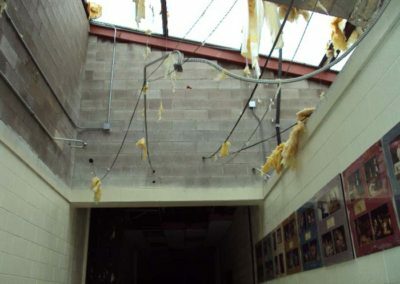 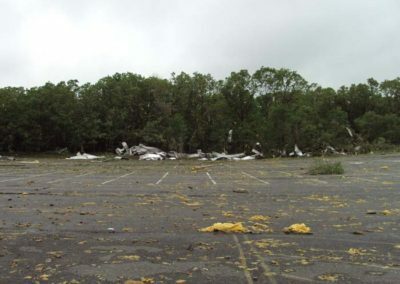 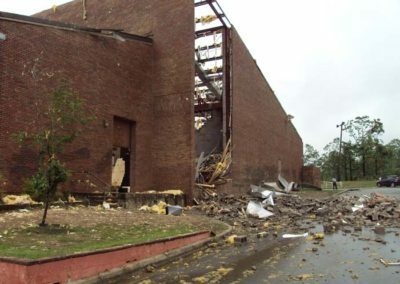 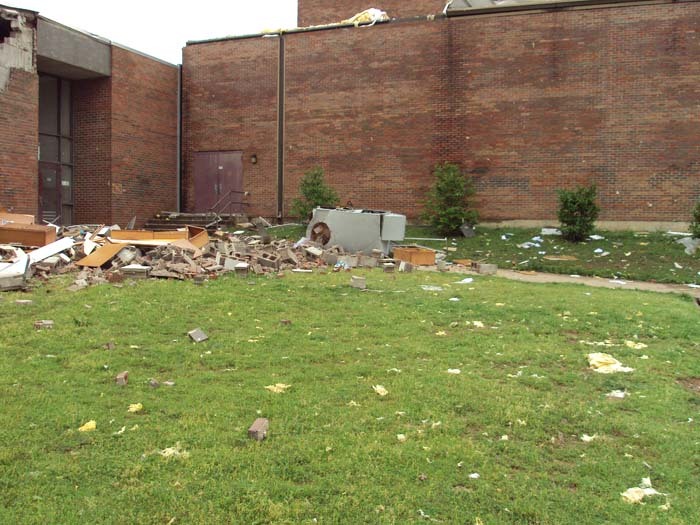 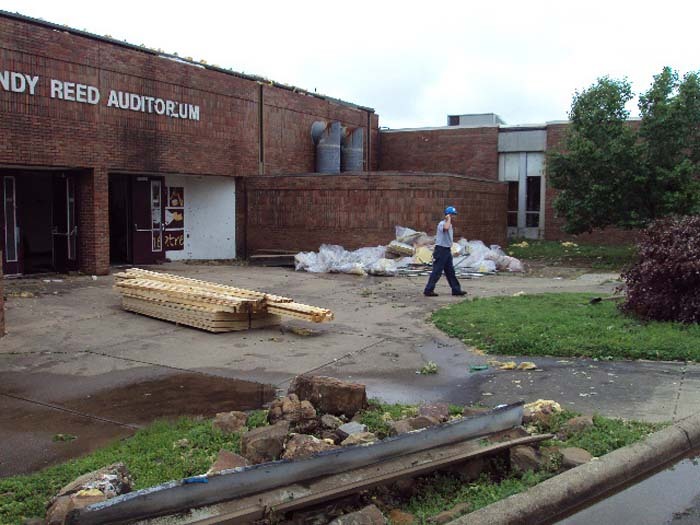 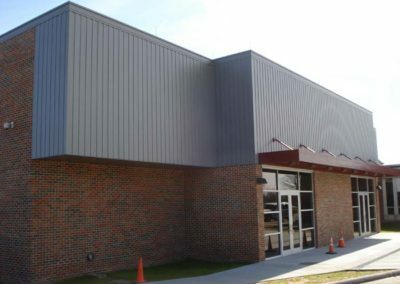 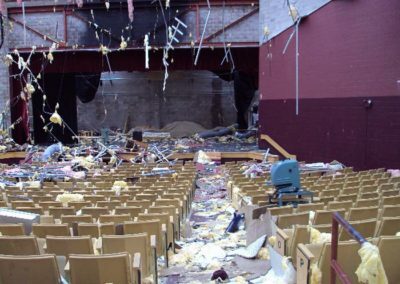 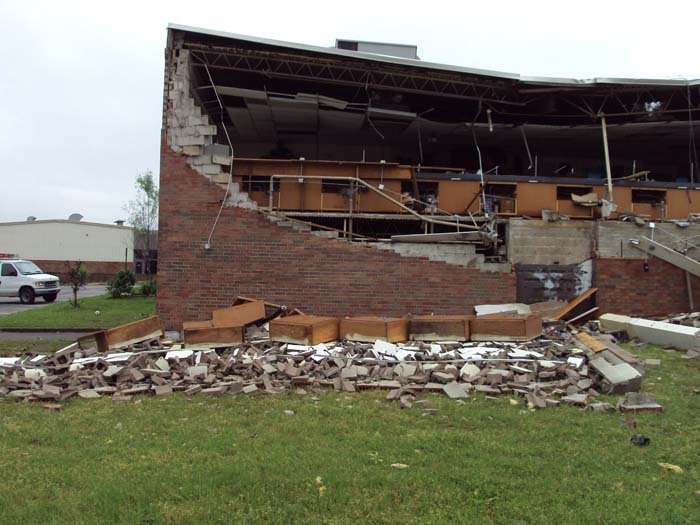 A tornado ripped through North Pulaski High School in Jacksonville, AR. 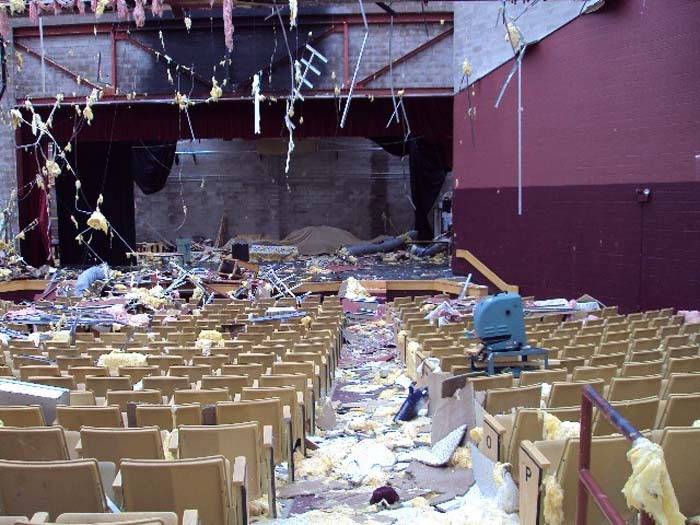 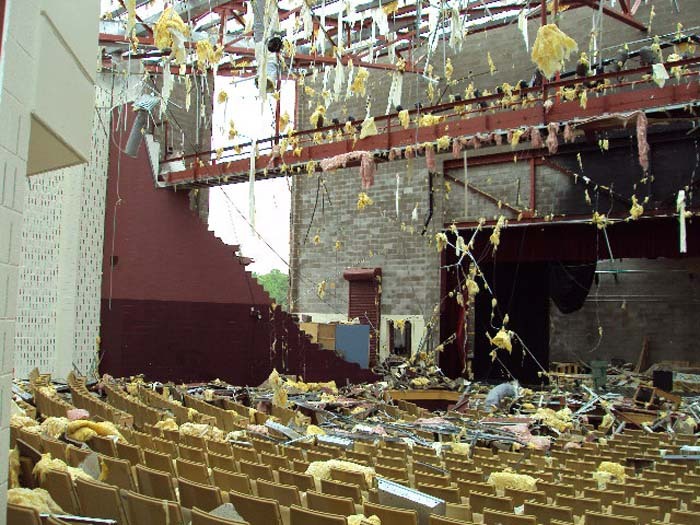 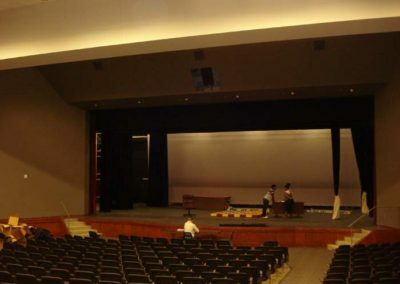 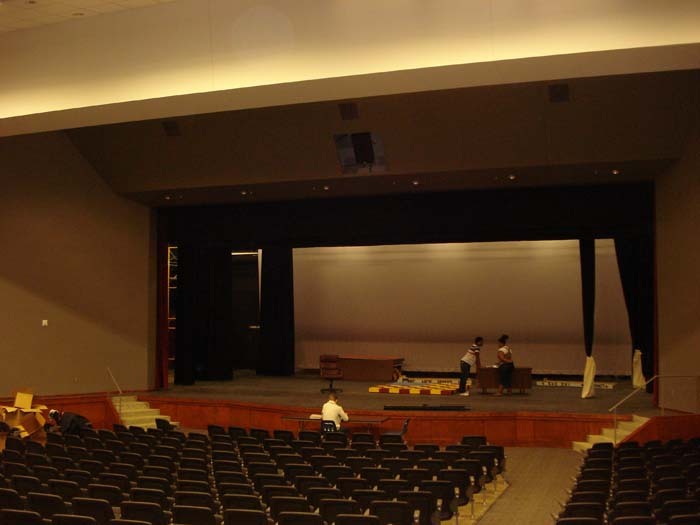 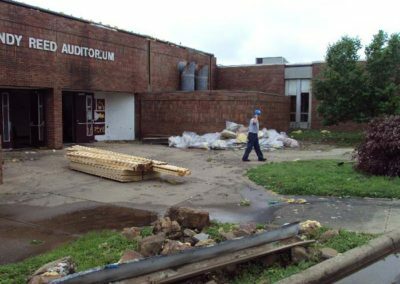 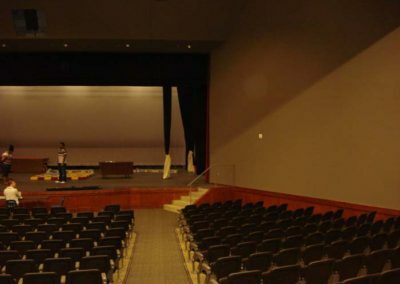 The storm tore off the roof of the auditorium, destroyed a chemistry lab and left several classrooms flooded with rain leaking in. 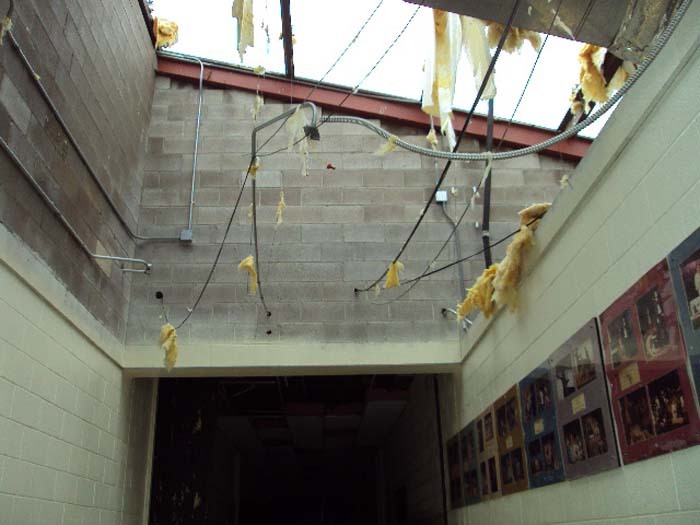 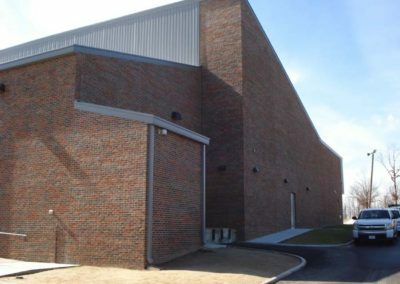 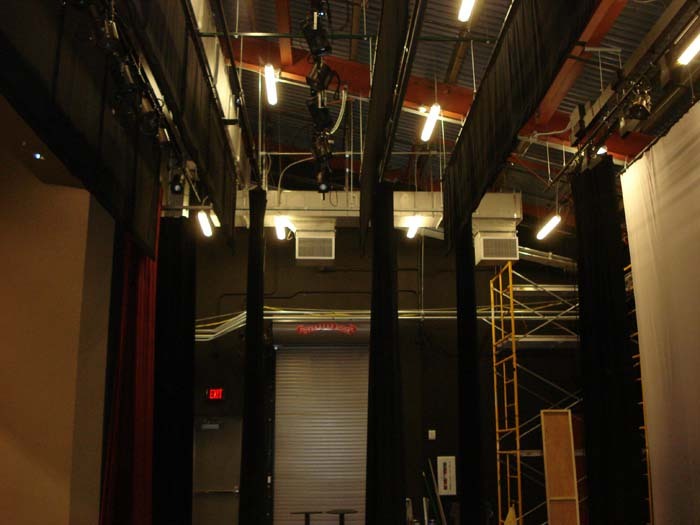 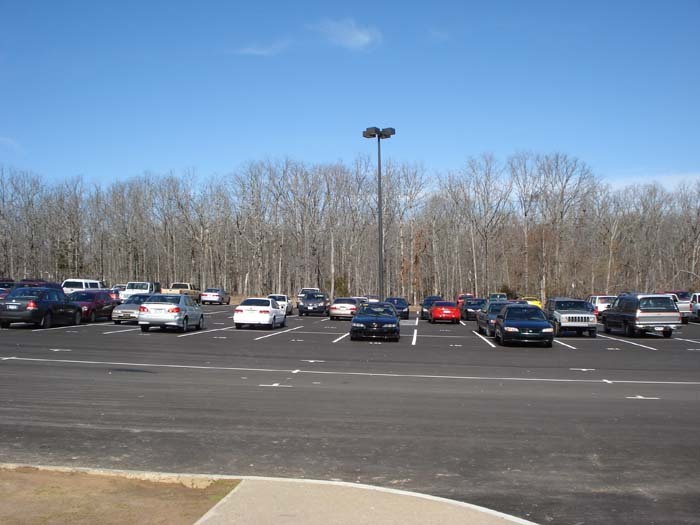 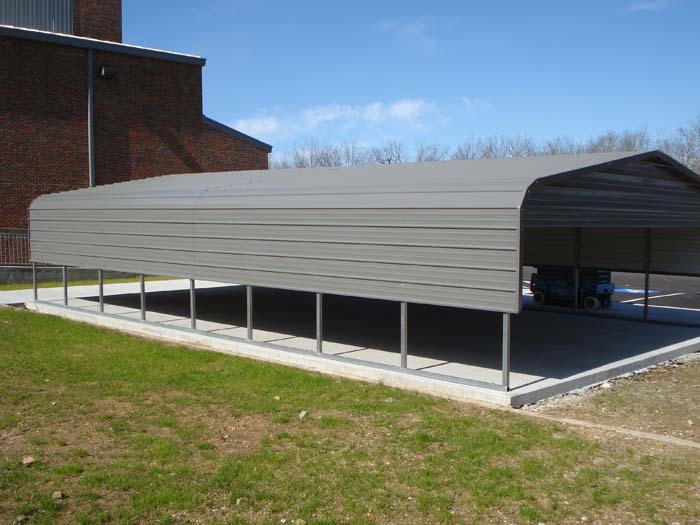 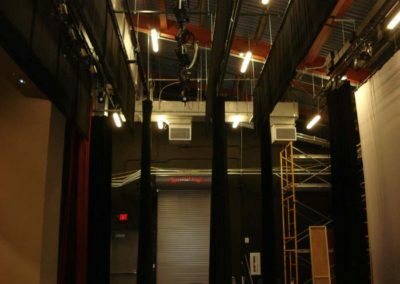 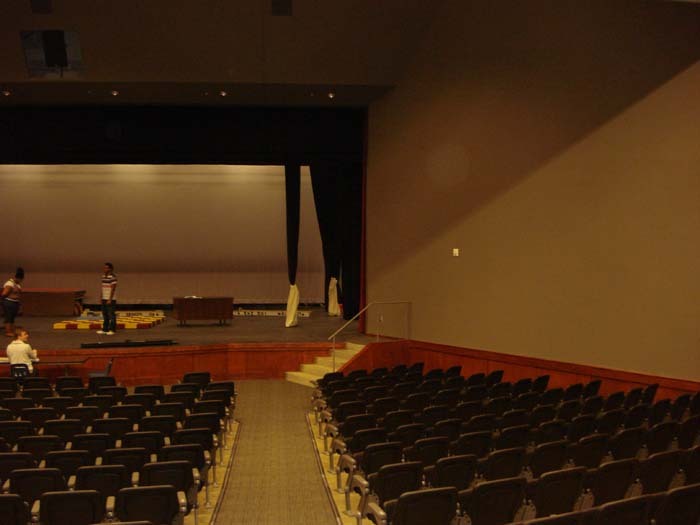 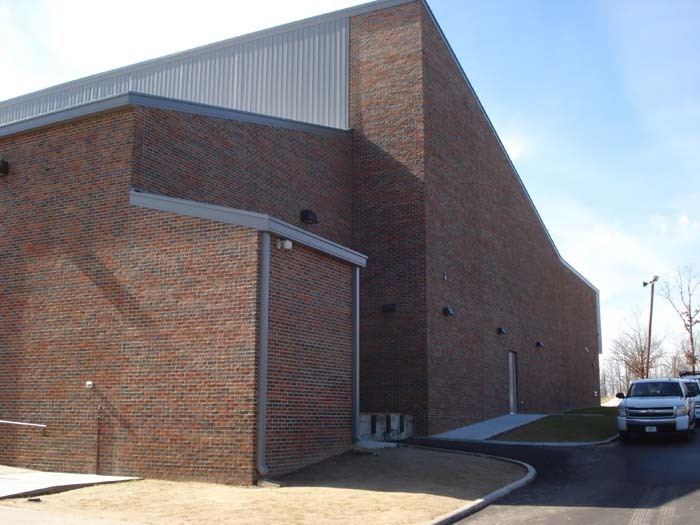 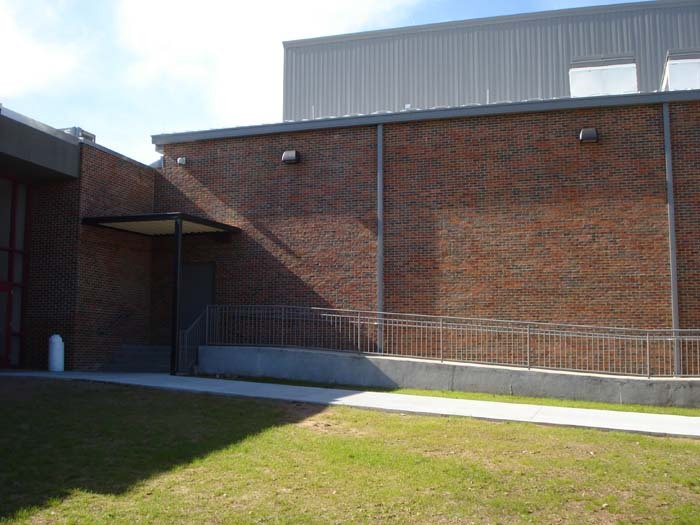 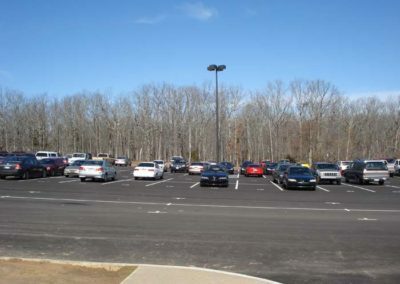 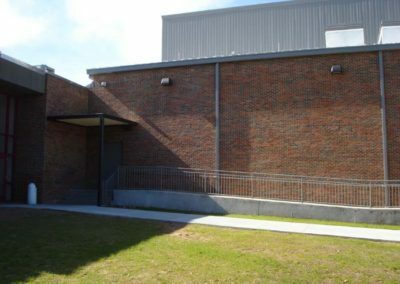 Temporary classrooms were setup in the Gym and Media Center while the reconstruction services were completed.